Whether you’re managing Cucumber feature files for test automation or looking to enhance your behavior driven development workflows, Tricentis qTest offers several options for optimizing Cucumber. 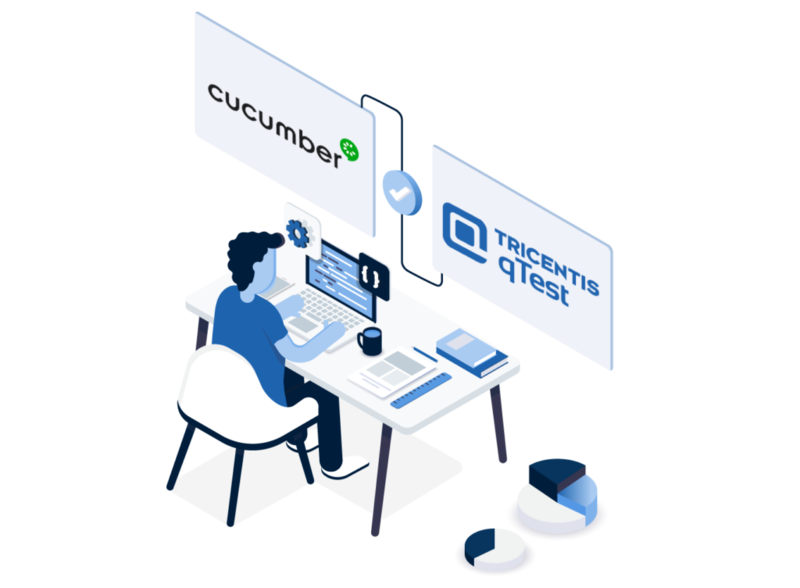 Tricentis qTest helps agile teams take a test-first approach by integrating with Cucumber for improved BDD collaboration and a more streamlined approach to test automation. Consolidate all Cucumber automation into one location for enhanced traceability. Quickly access and analyze your latest Cucumber test scenario results. Collaborate and streamline test scenario creation directly within Jira. For teams using Jira Software for enterprise agile planning, incorporating BDD workflows can be a challenge. With qTest Scenario, teams practicing BDD can create their feature files directly on Jira issues for three amigo-style collaboration. Already have Cucumber? Teams can use qTest Launch to manage and schedule Cucumber feature files for test automation. Simply use one of our supported automation agents or create your own to start executing today.